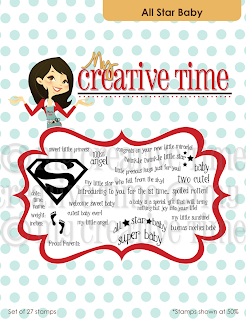 Good Morning and Welcome to My Creative Times 3-D Wednesday! I hope you are enjoying your week so far! I've been super busy creating tons of My Creative goodness! You know we have a new release next week! You're going to love what's coming up! Now lets get to today's challenge. For today's 3-D Wednesday project, Emma asked us to make any 3-D project of our choice with "TEXTURE" added to it! (anything but ribbon as texture). Also she asked me to use her "All Star Baby" stamp set! I have to admit that sometimes the minute I'm told not to do something, that's all I want to do! I'm so sorry if the pictures don't look right. Blogger wasn't being kind to me when I was uploading pictures and I had to "mickey mouse" it so it would let me upload. Anyway make sure you check out Emma's blog to see what she and the other Designers created! This is so gorgeous, love that flower and I would have never thought to use that stamp set for something like this! Awesome Liz! Fabulous Ms. Liz! You know I love houndstooth and rosettes! Wow this is such a charming project!!!! I love it!!!!! Absolutely fabulous!!!!! Absolutely adorable, Liz! I'm so glad you got your pictures up because I LOVE this! The sentiment is too perfect with the girl, and I love your handmade rosette!!! 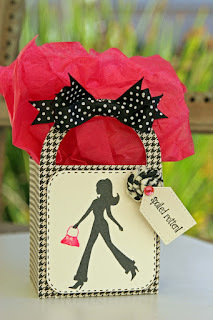 Cute gift bag....love it!! Love the rosette you added!! awesome!! love the colors and patterns!! Love the bag! What a great project! 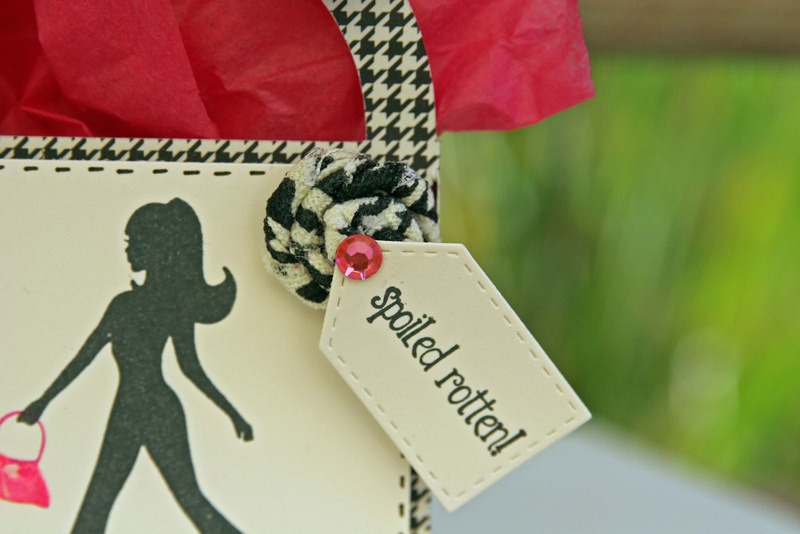 Great little gift bag Liz! Are you going to CHA? Just LOVE that bag. Guess I need to break down and get that cartridge. What a fun bag. That sentiment is so useful!!! What a beautiful gift bag. Your rolled fabric flower is awesome. You totally rocked it!!! :) I love your cute bag!!!! 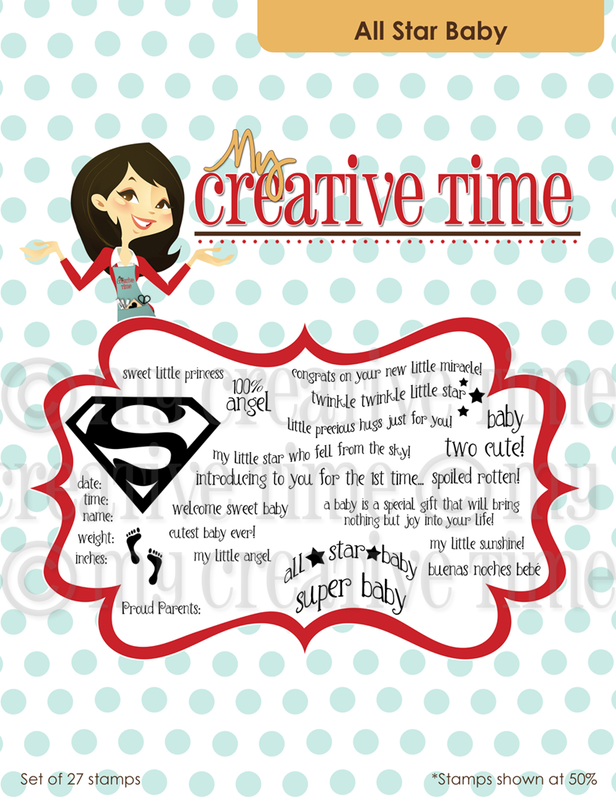 And what a great idea to use the sentiment from the All Star Baby Set! This screams ELEGANT, CLASSY and PERFECT to me! 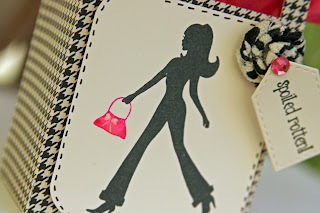 First the houndstooth ~ so my favorite! The image, the pop of color (perfect detail) and that houndstooth fabric...OMG. Where did you get that? LOVE IT!